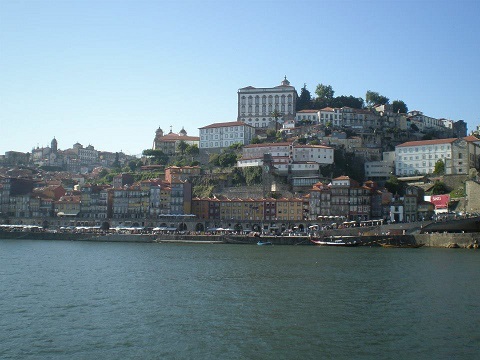 Transport: Group have to be on an afternoon train from Porto to Freixo on the 2nd July. Transport to and from site and for excursions. Public transport available for free time. Weather: Hotter than UK, can go into high 30-low 40’s degree C, but be prepared for rain. 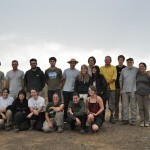 We are once again sending a group to our partners to continue working on this important site. Surrounded by a diverse and significant number of archaeological sites, which notably includes the Palaeolithic open air engravings of the Côa River Valley UNESCO Heritage Site, is the site of Castanheiro do Vento (chestnut tree). Castanheiro do Vento has a complex stone architecture and was built from the Chalcolithic to the Bronze Age. This kind of architecture is, in particular, characteristic for the Iberian Peninsula and Southern France, and has been the object of investigations by several archaeological schools over a number of years. 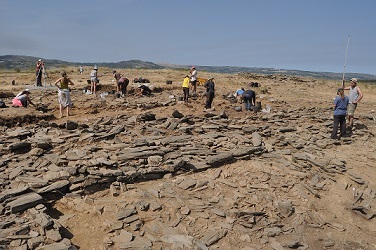 By 1990, one group of Portuguese archaeologists from the University of Porto and the Cultural Association (ACDR) of Freixo de Numão reawakened interest in this matter by introducing different field methods and the manner in which data coming from the digs was interpreted. The problem of the complex stone architecture dating from the third to second millennium BC, however, is far from conclusive in its interpretation. This group of archaeologists has entered into an ongoing dialogue with many other researchers around the world, comparing this regional investigation with European prehistoric architecture within an international network. Today Castanheiro do Vento is one of the most important sites in Iberia and throughout Western Europe for the study of this theme. 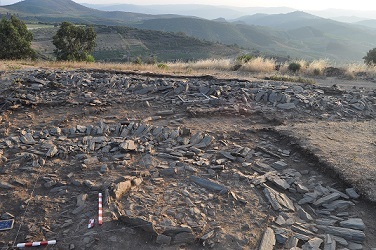 Vítor Oliveira Jorge and João Muralha Cardoso started a research project based on the diggings at the prehistoric site of Castanheiro do Vento in 1998. Now the team accounts also with Ana Vale e Sérgio Gomes. 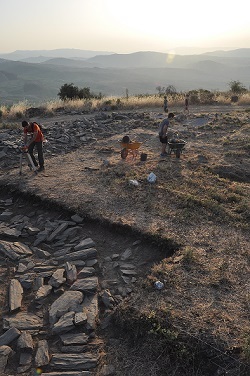 Every year, during the summer, archaeological diggings are made on the top of the hill. 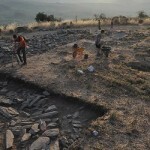 The excavations allowed the identification of three concentric walls intercepted by the so called “bastions” (semi-circular structures) and several entrances. 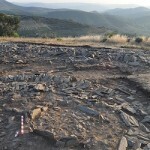 This kind of sites is usually interpreted in the Iberian Peninsula as fortified settlements. 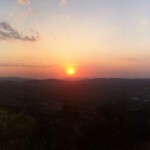 However the research undertaken at Castanheiro do Vento as well as at Castelo Velho (a similar place located at 11 kilometres from Castanheiro do Vento and studied by Susana Oliveira Jorge, University of Porto) has been questioning this approach. 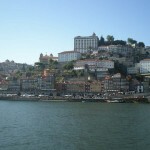 It is thought that Castanheiro do Vento was not built due to conflicts during the 3rd millennium B.C. but it enables other connexions, such as monument, memory, performance, landscape, territory, place, and image. It is proposed to see Castanheiro do Vento as a meeting point where several temporalities and materials were (and are) placed together. 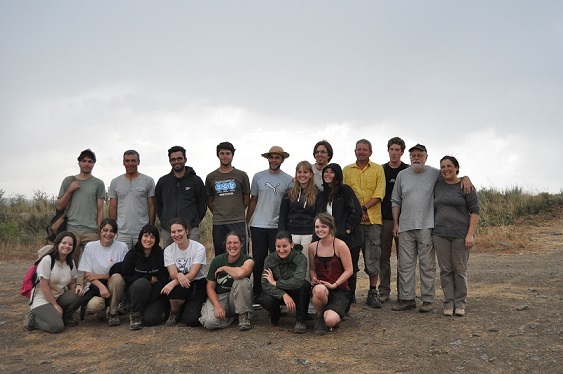 These issues will be discussed at the end of the working day, once per week, and the participants could count with availability of all the archaeologists to debate and to explain the methodology, including topography, recording, drawing, etc. During the weekends it is possible to visit the Museum of Casa Grande and the archaeological sites of Castelo Velho de Freixo de Numão (Copper Age) and Prazo (Neolithic, Roman, Medieval). All the participants could also take part on a visit to the Palaeolithic open air engravings of the Côa river valley, worldly famous (UNESCO mankind Heritage). Participants will be staying in en-suite shared bedrooms at Freixo De Numão’s village (provided by a local association: Associação Cultural Desportiva e Recreativa de Freixo de Numão), which has washing machine facilities. Take your own washing products if you have allergies. There is also an ATM in the village. Bedding material is provided. Participants will get three daily hot meals (breakfast, lunch and dinner in ACDR canteen). Breakfast on Saturdays and Sundays are not included. We will provide you drinkable mineral water in individual bottles of 1.5 litres (each day). Days off will be Saturday and Sunday of each week. The EU Erasmus + cover return UK flights, return trains, supervision, transport to site, accommodation and food. Participants will have to budget for extra food (meals out and snacks) and extra spending money for personal purchases and excursions. Participants will also have to make sure that they have their EHI card. Participants must be on the 1515 train from Porto Campanhã train station to Freixo de Numão train station where the host will be waiting to collect the group.